A selective list of online literary criticism for the nineteenth-century American poet and story writer Edgar Allan Poe, with links to reliable biographical and introductory material and signed, peer-reviewed, and scholarly literary criticism. "The Stories and Poems of Edgar Allan Poe." 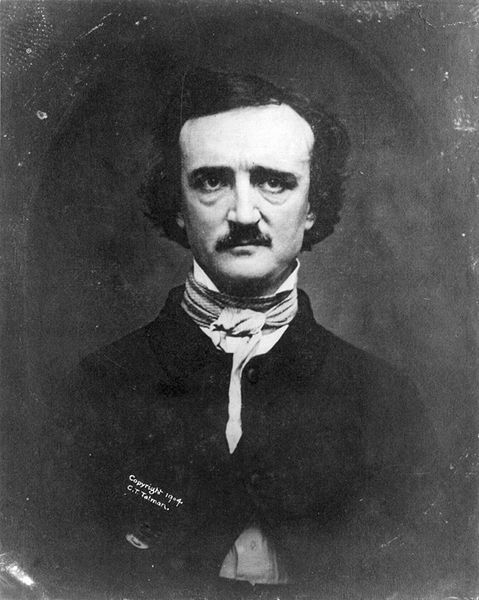 Web site for "The Big Read," sponsored by the National Endowment for the Arts, includes an introduction to Poe, and guides to his work for readers and for teachers. "Edgar Allan Poe." A biography of Poe, a list of his works, a secondary reading list, and selections from his poetry, from the Poetry Foundation . "Edgar Allan Poe." A brief introduction to Poe and text for some of his most famous poems, from the Academy of American Poets . "Edgar Allan Poe." Introduction to Poe, from the college textbook publisher the Heath Anthology of American Literature . "Edgar Allan Poe." An introduction to Edgar Allan Poe from educational publisher Gale/Cengage . "From Out That Shadow: The Life and Legacy of Edgar Allan Poe." Online exhibition on Edgar Allan Poe from the Harry Ransom Center, U of Texas Austin. Includes games and other educational content for students. "Knowing Poe." Contents: Poe the person; Poe the writer; the Poe library. Maryland Public Television. Web page on "The Cask of Amontillado." A web site for students, presents the text on one side of the screen and discussion questions on the opposite site. Created by Randy Rambo, English Instructor at Illinois Valley Community College. An online exhibition of Edgar Allan Poe's letters, Univ. of Virginia. Sucur, Slobodan. "Edgar Allan Poe." Literary Encyclopedia, 08 September 2008. Eds. Robert Clark, Emory Elliott, Janet Todd. An introduction to Poe, from a database that provides signed literary criticism by experts in their field, and is available to individuals for a reasonably-priced subscription [subscription service]. "The Humbug." Biographical, on Poe's struggle to make a living. New Yorker 27 April 2009. Wilson, James Southall. "The Personality of Poe." Virginia Magazine of History and Biography 67, 2 (April 1959) pp 131-42. Pearl, Matthew. "A Poe Death Dossier: Discoveries and Queries in the Death of Edgar Allan Poe: Part I." The Edgar Allan Poe Review 7, 2 (Fall 2006) pp 4-29 [free at jstor, click "Preview" or "Read Online"]. Pearl, Matthew. "A Poe Death Dossier: Discoveries and Queries in the Death of Edgar Allan Poe: Part II." The Edgar Allan Poe Review 8, 1 (Spring 2007) pp 8-31 [free at jstor, click "Preview" or "Read Online"]. Baguley, David. "Guiomar's Poetics of Death in 'The Raven.'" Poe Studies 15, 2 (Dec. 1982) pp 38-40 [subscription service, enotes]. Erkkila, Betsy. "The Poetics of Whiteness: Poe and the Racial Imaginary." In Romancing the Shadow: Poe and Race (Oxford UP 2001) [sub ser, enotes]. Freedman, William. "Poe's 'Raven': The Word That Is an Answer 'Nevermore.'" In Poe Studies/Dark Romanticism: History Theory, Interpretation 31, 1 (1998) [sub ser, enotes]. Jackson, Joseph. "Poe's Signature to 'The Raven.'" Why Poe used the pseudonym "Quarles" with this, and no other, poem. The Sewanee Review 26, 3 (1918) pp 272-5 [free at jstor]. Jones, Joseph. "'The Raven' and 'The Raven': Another Source of Poe's Poem." American Literature 30, 2 (May 1958) pp 185-93 [preview, jstor]. Bohm, Arnd. 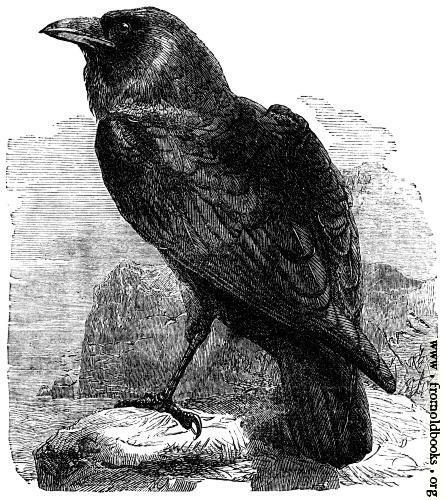 "A German Source for Edgar Allan Poe's The Raven.'" Comparative Literature Studies 23, 4 (Winter 1986) pp 310-323 [free at jstor, click "Preview" or "Read Online"]. Rachman, Stephen. "Subterranean Homesick Poe: Lou Reed's 'The Raven.'" The influence of Poe on '60s rock. The Edgar Allan Poe Review 4, 1 (Spring 2003) pp 28-41 [free at jstor, click "Preview" or "Read Online"]. Richards, Eliza. "Outsourcing 'The Raven: Retroactive Origins.'" Victorian Poetry 43, 2 (Summer 2005) [sub ser, questia]. Literary Criticism, "The Fall of the House of Usher"
Budick, E. Miller. "The Fall of the House: A Reappraisal of Poe's Attitudes toward Life and Death." The Southern Literary Journal 9, 2 (Spring 1977) pp 30-50 [free at jstor, click "Preview" or "Read Online"]. Garmon, Gerald M. "Roderick Usher: Portrait of the Madman as Artist." Poe Studies 5 (June 1972). Heller, Terry. The Delights of Horror . Complete book is open access. Includes chapters on Poe's "Ligeia" and "The Fall of the House of Usher," and chapters on Bram Stoker's Dracula and Henry James's "The Turn of the Screw" (U of Illinois P 1987). Hustis, Harriet. "Reading Encrypted but Persistent": The Gothic of Reading and Poe's 'The Fall of the House of Usher.'" Studies in American Fiction 27, 1 (Spring 1999) [sub ser, questia]. Marsh, John L. "The Psycho-Sexual Reading of 'The Fall of the House of Usher.'" Poe Studies 5 (June 1972). Martindale, Colin. "Archetype and Reality in 'The Fall of the House of Usher.'" Poe Studies 5 (June 1972). May, Leila S. "'Sympathies of a scarcely intelligible nature': the brother-sister bond in Poe's 'Fall of the House of Usher.'" Studies in Short Fiction 30, 3 (Summer 1993) [sub ser, questia]. Phillips, H. Wells. "Poe's Usher: Precursor of Abstract Art." Poe Studies 5 (June 1972). Thompson, G.R. "The Face in the Pool: Reflections on the Doppelgänger Motif in 'The Fall of the House of Usher.'" Poe Studies 5 (June 1972). St. Armand, Barton Levi. "Usher Unveiled: Poe and the Metaphysic of Gnosticism." Poe Studies 5 (June 1972). Timmerman, John H. "House of Mirrors: Edgar Allan Poe's 'The Fall of the House of Usher.'" Papers on Language & Literature 39, 3 (Summer 2003) [sub ser, questia]. Literary Criticism, "The Masque of the Red Death"
Cary, Richard. "'The Masque of the Red Death' Again." Nineteenth-Century Fiction 17, 1 (June 1962) pp 76-78 [free at jstor, click "Preview" or "Read Online"]. Cassuto, Leonard. "The Coy Reaper: Unmasque-ing the Red Death" ["Masque of the Red Death"]. Studies in Short Fiction 25, 3 (Summer 1988) [sub ser, enotes]. Osipova, Elvira. "Aesthetic Effects of 'King Pest' and'The Masque of the Red Death.'" The Edgar Allan Poe Review 8, 2 (Fall 2007) pp 25-33 [free at jstor, click "Preview" or "Read Online"]. Vanderbilt, Kermit. "Art and Nature in 'The Masque of the Red Death.'" Nineteenth-Century Fiction 22, 4 (March 1968) pp 379-89 [free at jstor, click "Preview" or "Read Online"]. Zapf, Hubert. "Entropic Imagination in Poe's 'The Masque of the Red Death.'" College Literature 16, 3 (Fall 1989) pp 211-18 [preview, jstor]. Zimmerman, Brett. "The Puzzle of the Color Symbolism in 'The Masque of the Red Death': Solved at Last?" The Edgar Allan Poe Review 10, 3 (Winter 2009) pp 60-73 [first page only, blurred, jstor]. Bradford, Adam. "Inspiring Death: Poe's Poetic Aesthetics, 'Annabel Lee,' and the Communities of Mourning in Nineteenth-Century America." The Edgar Allan Poe Review 12, 1 (Spring 2011) pp 72-100. Brown, Arthur A. "Literature and the Impossibility of Death: Poe's 'Berenice.'" Nineteenth Century Literature 50, 4 (March 1996) pp 448-63 [free at jstor, click "Preview" or "Read Online"]. Brown, Arthur A. "Death and Telling in Poe's 'The Imp of the Perverse.'" Studies in Short Fiction 31 (Spring 1994) pp 197-205 [sub ser, questia]. Church, Joseph. "'To Make Venus Vanish': Misogyny as Motive in Poe's 'Murders in the Rue Morgue.'" American Transcendental Quarterly 20 (June 2006) [sub ser, questia]. Dowell, Richard W. "The Ironic History of Poe's 'Life in Death': A Literary Skeleton in the Closet." American Literature 42, 4 (Jan. 1971) pp 478-486 [preview, jstor]. Duquette, Elizabeth. "Accounting for Value in 'The Business Man.'" Studies in American Fiction 35, 1 (Spring 2007). Hayes, Kevin, ed. The Cambridge Companion to Edgar Allan Poe (Cambridge U P 2002). Complete book available at Questia, subscription service. Includes the following chapters: The Poet as Critic; Poe and His Circle; Poe's Aesthetic Theory; Poe's Humor; Poe and the Gothic Tradition; Poe, Sensationalism, and Slavery; Extra! Extra! Poe Invents Science Fiction! ; Poe's Dupin and the Power of Detection; Poe's Feminine Ideal; A Confused Beginning: The Narrative of Arthur Gordon Pym, of Nantucket; Poe's "constructiveness" and "The Fall of the House of Usher"; Two Verse Masterworks: "The Raven" and "Ulalume"; Poe and Popular Culture; One-Man Modernist. Mabbott, Thomas Ollive. "Lenore." On the trouble that poem gave Poe. In The Collected Works of Edgar Allan Poe Vol 1 (1969). The Edgar Allan Poe Society of Baltimore . Ross, Donald H. "The Grotesque: A Speculation." Poe Studies 4 (June 1971). St. Armand, Barton Levi. "Poe's 'Sober Mystification': The Uses of Alchemy in 'The Gold-Bug.'" Poe Studies 4 (June 1971). Thompson, G.R. "Unity, Death, and Nothingness. Poe's 'Romantic Skepticism.'" PMLA 85, 2 (March 1970) pp 297-300 [free at jstor, click "Preview" or "Read Online"]. Wetz, Linda L. and S. K Wertz. "On Poe's Use of 'Mystery.'" Poe Studies 4 (June 1971). Zimmerman, Brett. "A Catalogue of Selected Rhetorical Devices Used in the Works of Edgar Allan Poe." Style , Winter 1999 [sub ser, questia]. Fabre, Michel. "Black Cat and White Cat: Richard Wright's Debt to Edgar Allan Poe." Poe Studies 4 (June 1971). Fisher, Benjamin F. "Dickens and Poe: Pickwick and 'Ligeia.'" Poe Studies 6 (June 1973). Franklin, Rosemary F. "Poe and The Awakening ." As an influence on author Kate Chopin. The Mississippi Quarterly 47, 1 (Winter 1993) [sub ser, questia]. Garmon, Gerald M. Emerson's 'Moral Sentiment' and Poe's 'Poetic Sentiment': A Reconsideration" [and Ralph Waldo Emerson]. Poe Studies 6 (June 1973). Joseph, Gerhard J. "Poe and Tennyson." PMLA 88, 3 (May 1973) pp 418-28 [free at jstor, click "Preview" or "Read Online"]. Nandrea, Lorri. "Objectless Curiosity: Frankenstein , The Station Agent , and Other Strange Narratives" [The Murders in the Rue Morgue, Mary Shelley, Tom McCarthy]. Narrative , 15, 3 (Oct. 2007) pp 335-356 [free at jstor, click "Preview" or "Read Online"]. Pollin, Burton R. "Edgar Allan Poe as a Major Influence upon Allen Ginsberg." Mississippi Quarterly 52 (Fall 1999) [sub ser, questia]. Robinson, E. Arthur. "Thoreau and the Deathwatch in Poe's 'The Tell-Tale Heart.'" Poe Studies 4 (June 1971). Senelick, Laurence. "Charles Dickens and 'The Tell-Tale Heart.'" Poe Studies 6 (June 1973). "Poe Lightly," by Rosemary Hamilton. A curriculum guide for teachers of Edgar Allan Poe, from the Yale-New Haven Teachers Institute. "Detective Fiction for Remedial Readers," by Ruth M. Wilson, a curriculum guide for middle school teachers, focuses on the work of Edgar Allan Poe and the Sherlock Holmes stories of Sir Arthur Conan Doyle. From the Yale-New Haven Teachers Institute. "It's A Mystery To Me," by Marilyn Gaudioso, provides suggestions for teaching "The Red-Headed League" by Sir Arthur Conan Doyle, "The Murders in the Rue Morgue" by Edgar Allan Poe, and "And Then There Were None" by Agatha Christie. A curriculum guide for middle school teachers, from the Yale-New Haven Teachers Institute. Weinstock, Jeffrey Andrew and Tony Magistrale. Publisher's site for Approaches to Teaching Poe's Prose and Poetry . Chapters on teaching Annabel Lee, The Black Cat, The Cask of Amontillado, Hop Frog, The Fall of the House of Usher, Ligeia, The Mask of the Red Death, The Murders in the Rue Morgue, Narrative of Arthur Gordon Pym, The Premature Burial, Morella, The Raven, Some Words with a Mummy, The Tell-Tale Heart. Modern Language Assoc. 2008. "The Science Fiction Element in the Work of Poe: A Chronological Survey." A bibliography for studying the science fiction element in Poe's work, by David Ketterer. Science Fiction Studies 1 (1974). Poe Studies , published by Washington State U, has made full-text articles from 1971-1979 freely available at their web site. Over 50 scholarly articles of interest to Poe researchers can be read there, along with reviews of scholarly books. A sample of these articles is indexed here; for additional articles the researcher should browse the journals. Also, additional brief articles are available from the Poe Newsletter. The Edgar Allan Poe Society of Baltimore , extensive material on Poe for the researcher.